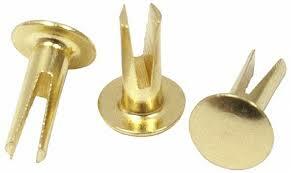 Split rivets are typically used in the luggage, case and leather goods industries to fasten soft materials such as plastics, animal hide and wood. With automatic setting equipment it can pierce through soft materials without a pre-punched hole. 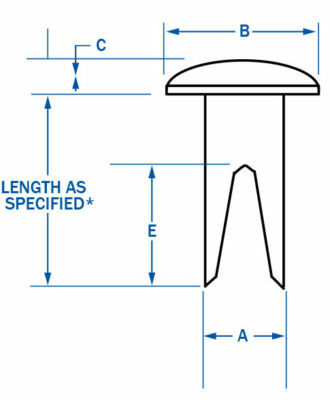 Typically offered in Steel or Brass material with a host of metal nishes such as zinc, nickel, or brass plating.